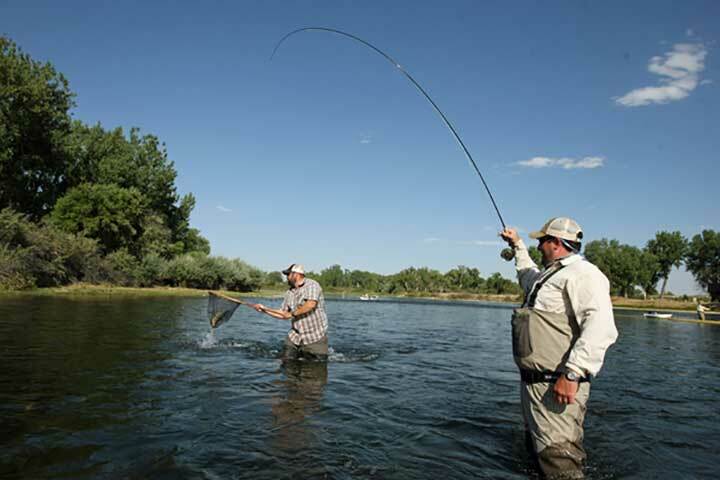 Unquestionably one of the greatest trout rivers in the world, the Bighorn River is a fly angler’s dream come true. The Bighorn River’s cool, clear flows emerge from the base of Yellowtail Dam in Fort Smith, Montana. 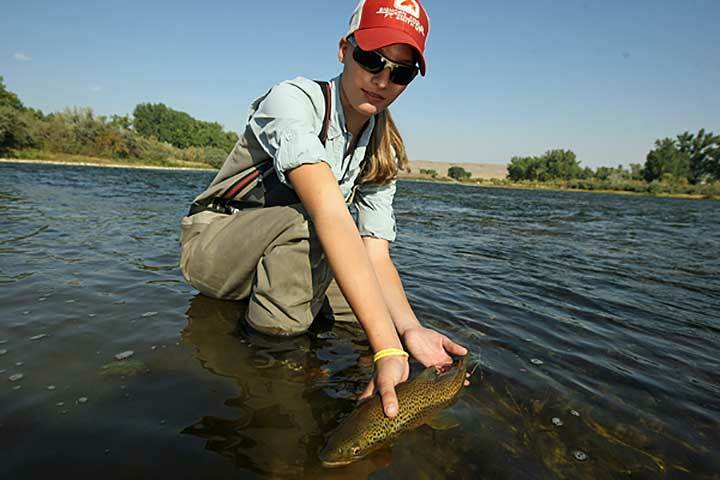 Its trout-filled waters and abundant insect hatches produce exceptional rainbow and brown trout fishing year-round for both novice and expert anglers alike. And the hardworking and courteous guides at the Bighorn Angler are second to none. 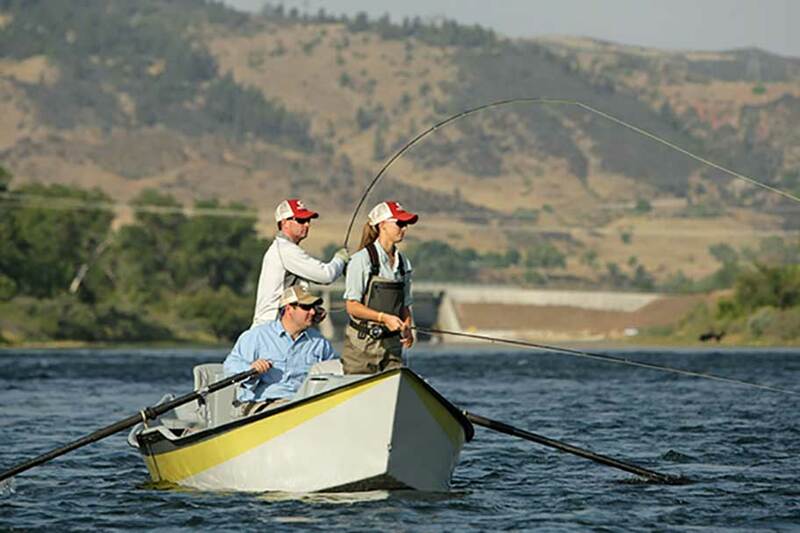 The Bighorn Angler has been offering high quality guided fly fishing packages on the Bighorn River for over 30 years. 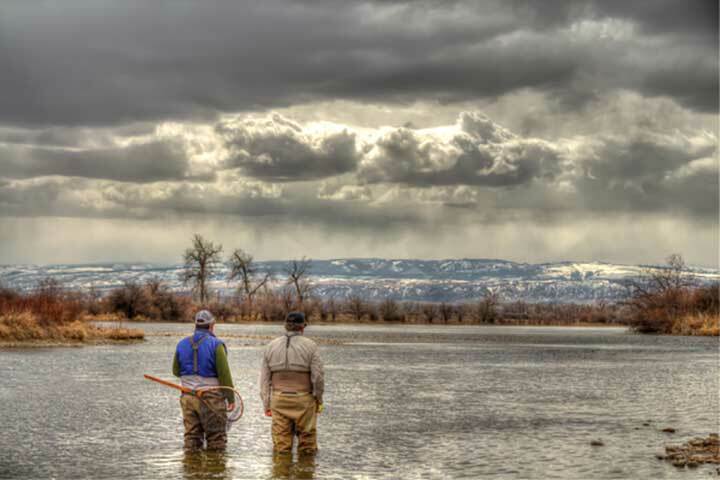 Their wide array of lodging options, top-notch service and home-cooked meals are the perfect ingredients for the ultimate Bighorn River fly fishing experience. You will also find a fully stocked fly shop with a knowledgeable and courteous staff on site. Trips and packages of any length can be arranged. 3-night/2 day, 4-night/3 day and 5-night/4 day all-inclusive guided fishing packages are the most popular. Newly remodeled lodge rooms offer anglers the best mix of quality, convenience and price in Fort Smith. The lodge offers rooms with either 2 or 3 beds. Each room is equipped with air conditioning, high quality bedding and towels, satellite television and wireless internet, which make them the perfect retreat after a long day on the river. Two brand new side by side cabins located on-site that each offer 2 bedrooms/one bathroom, sitting area with flat screen tv, wifi, kitchen with all utensils. Each sleeps 4 adults. Two identical luxury cabins, located on the bluff about one mile outside of Fort Smith Montana with over 40 acres of private land and a quarter mile of Bighorn River frontage. Each cabin is 2000 square feet with 3 bedrooms and two full bathrooms. There are 6 beds in each cabin. Furnace, fireplace and air conditioning! The kitchen has all stainless steel appliances, concrete countertops, wine rack, herbs and spices for cooking, pots, pans, dishes, silverware. The living area has extremely comfortable leather furniture, reading lamps, fireplace, and a 50 inch plasma television with surround sound, DVD player, and satellite TV. And again, the extraordinary view of the Bighorn River! Cabins also have grills on the wrap around porches, wifi internet access and pets are welcome. Billings International Airport is located 90 miles from the lodge and is serviced by the major airlines including United, Delta, Allegiant and Alaska Air. While many anglers rent a car and drive to the lodge. Shuttle service is available from the airport to the lodge as well. The lodge is located on the Crow Indian Reservation where alcohol sales are prohibited. Therefore alcoholic beverages must be purchased in Billings or Hardin before you enter the reservation. Based on Quad Occupancy in the cabin and four people with two guides. All meals are included. Montana lodging tax included. Price per person. Streamside lunch, non-alcoholic beverages, and shuttle.